* Format: 1/2.6" + 1/4"
Not at all a fan of the design. They did so well with the G4, that was a truly stunning device,this on the other hand reminds me of the old HTC Legend mid end smartphone. 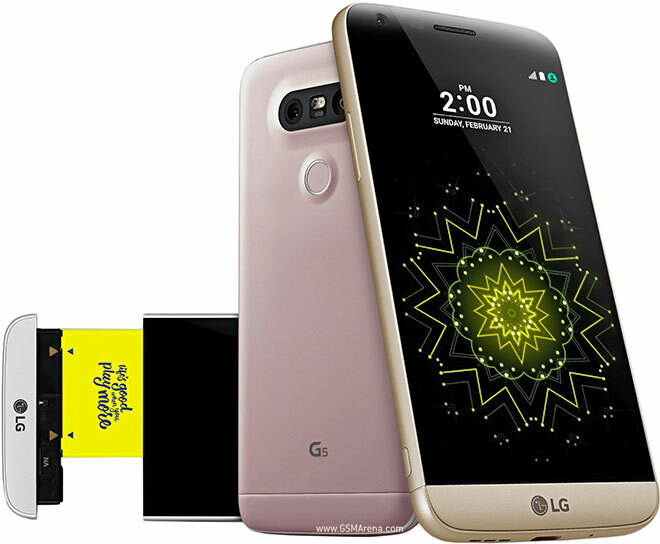 I like the "LG G5 Friends" concept, I wonder in how many regions it will be available though. Here's to hoping it does well and gets other manufacturers doing similar concepts. It reminds me of all those Accessories Nokias used to have in the mid 2000s, I remember the Nokia booklets of around 2003-2005 had pages and pages of basic versions of what LG is doing. I think Sony Ericsson to had similar accessories. I'm excited to see how well the Snapdragon 820 runs in these new phones, seems it doesn't bring the problems the 808 and 810 had. Qualcomm never miss a beat with the GPU, ever since the Snapdragon 800 SoC, they seem to have truly come to their own with GPUs.